Lots of promotions we've heard that the treatment of facial acne on the beauty salon looks so tempting. But sometimes we feel doubt for all that, whether the result will be able to clean and brighten the face due to acne scars perfectly. Is It True That Acne Facial Works Well With Cleansing The Skin? They are not guaranteed to work well and get perfect results, a lot of deciding factors. By simply relying on acne facials on beauty salons is indeed one solution among many ways to get rid of acne. Just like any other treatment or acne treatment procedure, getting results from facial treatment takes time. It is similar to other acne treatments, to get perfect results it takes time and to support all that you can apply as well home remedies for acne. to esthetician how to handle acne facial well. For mild acne, you simply go to the salon, but for moderate acne, to severe acne, you should visit a specialist. In certain cases with acne facials are not enough to clear acne, but usually, an expert who will provide solutions and know when acne will be released from the cage. The skin is a bastion of protection that can give you a hint of what is going on inside your body, the skin will give a signal if there is something wrong with the body. Signs that often appear can be through acne, rash, dry skin, eczema, psoriasis, cuts, bruises, moles. 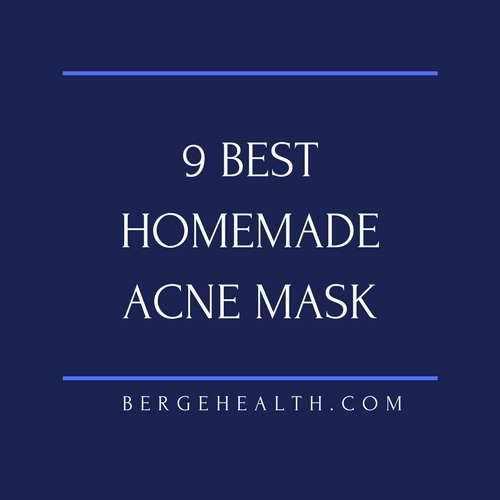 To maintain healthy skin you can apply the use of DIY face mask for acne that you can apply at home to be able to minimize the symptoms that you do not want, such as minimizing daily pollutants, bacteria, and other infections that may be attached to your skin. Before you start applying a mask, make sure your skin is completely clean and your pores are open. The best way to do this is by bathing or using steam to cleanse and open the pores. Boil the filtered water pan. Move water to a large bowl and let it cool for 1-2 minutes. If the water is not too hot, place your face on a bowl and cover your head and bowl with a towel for 5-10 minutes. Pour all the ingredients and apply a paste over your face - avoid on the eye area, mouth, and eyebrows. Rub the paste over the face for 1-2 minutes in a slow, circular motion. Leave on for 10-15 minutes. Use with warm water washcloth to add exfoliating effect. Pour all the ingredients and apply a paste over your face - avoid on the eye area, mouth, and eyebrows. Let this mask work for 10-15 minutes. avoid coloring your fingers. Leave the mask for 10-15 minutes. If it's enough with a cotton ball or a washcloth. If there is any yellow color left, you can remove it with diluted apple cider vinegar mixed with water, or soft toner. use slow and circular motion. Leave this for 10 minutes. Pour all the ingredients and apply a paste to your face - not including the eyes, mouth, and eyebrows. Leave this mask for 10-15 minutes. Pour all the ingredients and apply a paste over your face - avoid in the eye area, mouth, and eyebrows. Let this mask work for 10-15 minutes. 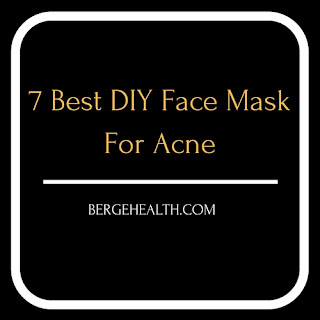 That was 7 best DIY face mask for acne and how to make a natural face mask for the skin problem, easy enough is not it? You can choose the mask that works best for you. To be able to find different effects, maybe you can alternate with trying DIY face mask for acne every few days. By continuing to use it, make sure you start seeing improvements in acne, acne scars, comedonal acne, blackhead or whatever it is. Using tea tree oil is an effective natural treatment option for people who want to fight the signs of acne on the skin. Acne often worsens as time passes and it causes a scar that is not beautiful. If it is caused by bacteria, then it is likely to spread faster to other parts. For that many topical creams that you can use to get rid of acne. Acne often appears on the face, neck, even the scalp, or the upper chest of the shoulders, and appears on other body parts. For acne small will last only a few days, but in large inflammation can take up to two weeks and even more. Habit in the patient often scratch it, it will be bad, which will leave a scar. The most common constraint is that usually, a prescription from a dermatologist to cure acne can be very expensive and usually only for short periods of time, whereas acne can recur any time. Therefore the use of tea tree oil for acne scars is one of the recommended skin care and safe enough used to fight acne. 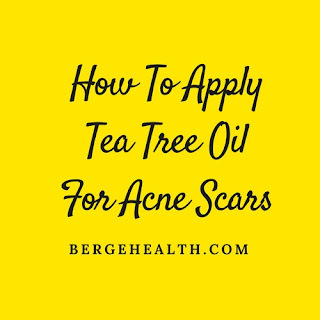 In addition, you can use tea tree oil regularly is an effective natural treatment option for people who want to fight the signs of acne on the skin. Acne often worsens as time passes and it causes a scar that is not beautiful. If it is caused by bacteria, then it is likely to spread faster to other parts. For that many topical creams that you can use to help get rid of acne scars. The most common constraint is that usually, a prescription from a dermatologist to cure acne can be very expensive and usually only for short periods of time, whereas acne can recur any time. Therefore the use of tea tree oil for acne sacrs is one of the recommended skin care and safe enough used to fight acne. In addition, you can use tea tree oil regularly to prevent back of acne. Tea tree oil is a natural remedy made from Melaleuca alternifolia plant. In addition, this oil has a fresh aroma, in general, this oil is pale yellow but sometimes colorless. For the best use you should choose tea tree oil is still pure, not from purified results, and free of chemicals. If you are going to buy the product first, check the label to make sure that tea tree oil has not been diluted with the cheaper oil type. The advantages of tea tree oil have a lot of antibacterial properties. This type of oil is not safe for consumption but is good for use on the skin where oil is non-carcinogenic, so it is safe to use as often as possible. Tea oil serves as an antimicrobial, where it can kill MRSA infections. In addition, it will be able to kill Propionibacterium acne that lives inside hair follicles that cause inflammation in acne. Other things this oil has disinfecting properties, can also have soothing properties, excellent when used for burns and burns skins on acne flare-up. 3-4 drops tea tree oil. 1/4 cup apple cider vinegar. Pour all three ingredients into the spray bottle. Shake gently. It’s now ready for use. Spray the toner directly onto a cotton ball, then wipe it around your face with a cotton ball. Avoid rubbing toner around the eyes or inside your nostrils or ears. Use toner anywhere else where you have acne, if you have acne on the back of your scalp or other body parts, besides your face, you can squirt toner directly into your hair. Do not spray toner on your face because it can sting your eyes. Then handmade facial scrubs can also provide additional effective treatments for acne. It can provide deeper cleansing, keeping the pores unclogged, as clogged pores are one cause of acne. Tea tree oil will also kill the acne-causing bacteria, while the oil in the facial scrub will provide soothing skin care. To make it prepare the following ingredients into the bowl to make your own facial scrubs. Use of scrubs is recommended to be done during bedtime which is the best time because it contains two different types of oil, which can give nighttime humidity to your face. Mix all ingredients in the bowl. Do not mix too much, because you do not want your sugar to break up before you can use it. Do not heat it up or place it in the refrigerator. How To Use Your Tea Tree Face Scrub. Following steps on how to use them on your face. Rinse face with warm water first, and leave it moist. Using your fingers, rub your facial skin scrubs into your face. Do not put any scrub around your eyes, near your nostrils, and avoid hairline. After that all over your face, gently massage around in a circular motion. Continue your facial massage for two to five minutes, depending on the comfort level. Wash your face with warm water until all the sugar is gone. It does not matter leaving a bit of oil left in the face, as this will give extra properties and moisture acne to your face. Pat your face gently dry. No need to apply extra moisturizer. You need to repeat tea tree oil for acne scars in one night per week. In addition to keeping the skin, tea tree oil for acne scars can also be used to maintain optimal beauty and health because of the content of anti-microbial and anti-bacterial properties needed by the skin. Acne often makes upset, so from that many questions how to get rid of acne quickly. If this is left will be very dangerous on our skin because it can damage your skin, and result in blockage of the skin pores due to dirt. Well, it is true acne should be given special care, where not all acne medication can be applied to your skin. Why is that? it is because the skin is the most sensitive skin of all parts of the body. Acne appears due to the growth of fat tissue under the skin that clogs the pores and causes inflammation. Inflamed acne will be painful to the touch. There are acne definitions that we often encounter, namely acne that grows one but the large and rounded shape, and acne that grows small and large. This little acne will be easily removed, we can use squeeze or scrub. Acne types are thick and large round, you must be extra careful because this acne contains fat and hard to remove. Lots of ways to get rid of acne that you can apply. Being a habit of many people will squeeze with forced acne to the eyes of acne out. This is an instant way, but you should also know that this is not recommended. Because it will leave an open wound on the skin that could lead to infection. It is advisable for that you can use facial cleanser products to overcome the problem of acne. There are other ways if you want to try tips how to get rid of acne. Clean your face with warm water then dry. Paste on the thin cucumber face evenly across the face surface until covered. Let stand 30 minutes, wash your face with clean cold water and dry. Repeat it as often as possible, it affects your face so it is fresh and relaxed. You can also use grated cucumber embedded on the surface of the face. A coffee mask is powerful enough to get rid of acne and also remove acne scars. Before using this homemade acne mask, wash your face with warm water and dry. Next step mix the coffee mask with a little water. Apply to face and massage slowly. Let stand 30 minutes and wash with cold water and dry. This is done with a very good routine to get rid of acne and also black acne scars and make the face brighter shine. It is very easy, clean the face first with warm water, so the pores open. Take one yam and puree with. Flatten to face and let stand for 30 minutes. Then wash the face with cold water to keep the pores closed again. Repeat every afternoon. Use carrots with good quality. Blend carrots and stick to face and let stand 20 minutes, then wash face with cold water. then smooth until smooth. 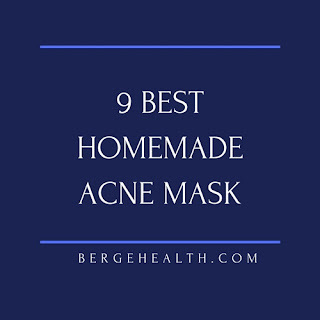 Before using first clean face with warm water, use homemade acne mask all over face let stand for 15 minutes then rinse thoroughly. Wash first face with warm and clean water. After that dry slowly, and do not rub too hard. Slice a thin lemon then apply to face, preferably in the acne. This will cause a little pain, it happens because the acid is reacting. Let stand for 20 minutes, rinse with cold water, so the face feels fresh. Repeat daily if necessary, three times a week. Just need a little, cut the tomatoes into 4 parts and remove the seeds, as well as the avocado. Take one part tomato and one part avocado, puree. Clean the face first with warm water. 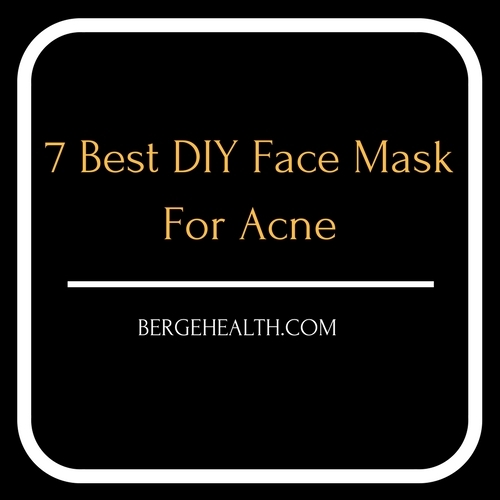 Use homemade acne mask all over the face and wait 15 minutes then rinse thoroughly. Clean your face with warm water to keep the pores open. Take a spoon of yogurt then spread it to the surface of the face. Let stand 30 minutes, and wash with cold water. Repeat every two days or until the acne gradually disappears. Make sure the yogurt you use is tasteless, tasteless and white yogurt. Wash your face first with warm water. Dry gently with a towel. Blend the apple and stick it on your face until blended. Wait 10 minutes, then wipe with warm water, and repeat this step twice. In the first use serves to absorb excess oil, the second point is to insert the vitamin in the apple into the skin and treat acne. Where the vitamin contained a function to kill the germs that cause acne and apply homemade acne mask for treatment every day.